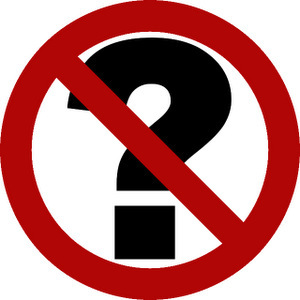 1) The issue is not an issue: the question isn’t asked, it doesn’t come up, it’s not an issue, there’s no point in asking (or even wondering). Je ne sais pas si Marc veut y aller. Il doit travailler, donc la question ne se pose pas. I don’t know if Marc wants to go. He has to work, so it’s not an issue / the question never came up. Dans ce pays, la question ne se pose pas. In this country, there’s no question (of that happening), it’s impossible. 2) The answer to the question is so obvious that it goes without saying, it doesn’t need to be asked – if it is asked, it’s rhetorical. Si j’aime le chocolat ? La question ne se pose pas ! (You want to know) if I like chocolate? No need to ask / of course I do! 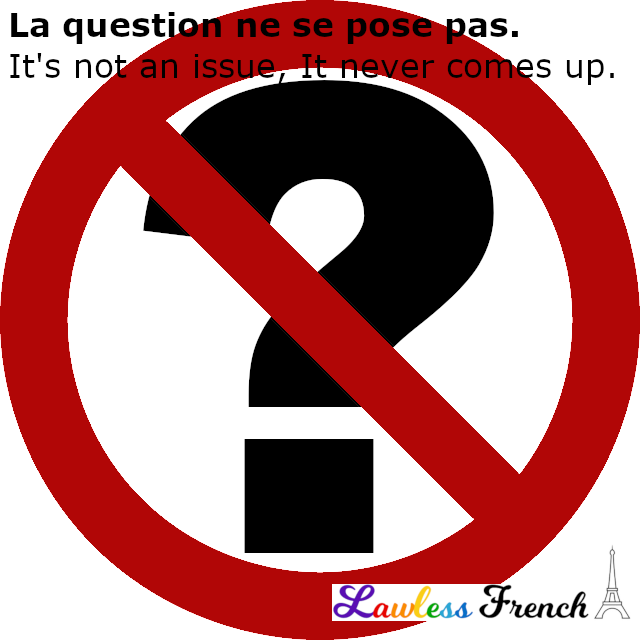 Pas besoin de dire, la question ne se pose pas. That’s self-evident, it’s a rhetorical question.